Public walks are one of the most common and successful activities organized around health campaigns and awareness days. An awareness walk is an event that aims at attracting people’s attention to a specific topic. Participants are asked to walk a certain number of kilometers or miles to show their support to a certain cause. The walk usually is held on a public and highly visible ground to maximize its impact and catch the attention of a wider audience. Heavy branding and eye-catching slogan are often used with the same purpose. 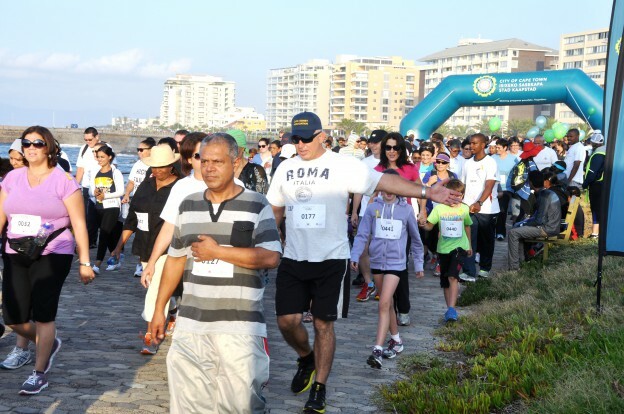 Here is a concrete example of an awareness walk organized by Molly Fabe and the Cape Kidney Association in Cape Town in occasion for World Kidney Day 2015. Molly Fabe, Executive Manager for the Cape Kidney Association in Cape Town organized the first World Kidney Day 5km Sunset Walk five years ago. “I was inspired to do a walk because I too enjoy walking, and many years ago we were involved in ‘cycle rides’ but not having sufficient manpower/volunteers, the project became too big for me to handle,” she says. In 2015, 650 walkers took part, almost 5 times more than the first year. Gathering people together is always challenging and there are many reasons for low attendance. Promoting your activity through any possible means is essential. “We promoted the event through our contacts data base, renal units and hospitals, media opportunities, friends and family and running/walking clubs; we used all sorts of promotional channels and collaterals like posters, leaflets, newspaper advertising; we sent text messages and participated in radio programs” she adds. Weather and traffic often affect the number of participants but these are factors that one can’t control. For the rest, the most important element for the success of a walk is PLAN, PLAN, PLAN! Involve as many people as you can in your planning. Do a check list and mark off as you along. Make sure everyone is in place at the registration tables as well as the marshalsbefore the event starts. Don’t forget to thank everyone when doing the prize giving because an event such as this cannot be a success without your volunteers and sponsors.